I have a B.S. in Forestry from the University of Tennessee and am an ISA Certified Arborist. 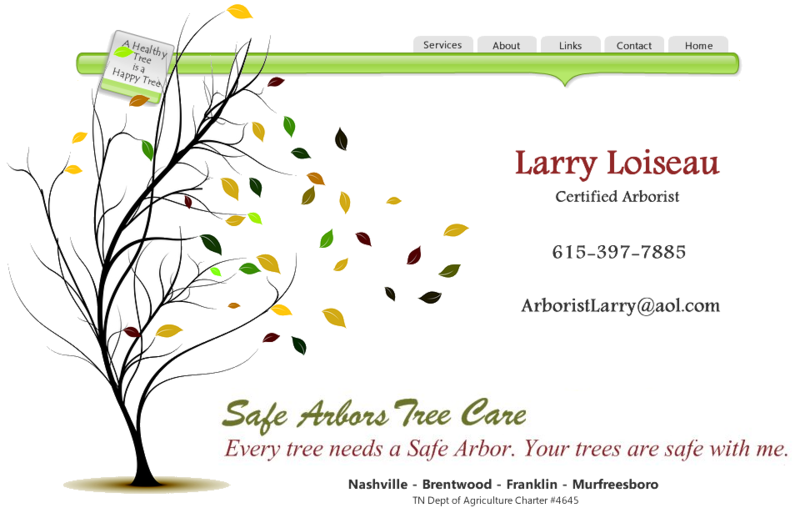 You can count on me for your tree health care needs in Nashville - Brentwood - Franklin - Murfreesboro. My goal is to help sick trees recover. Tree maintenance is imperative for tree health! Call me at (615) 397-7885. I work with homeowners and businesses to resolve tree health issues - Messy Hackberry trees - Emerald Ash borer protection - Pin and Willow oaks with yellow leaves (Chlorosis) - Bagworms - Borers - Scale insects and many other tree issues.